At the end of June, the U.S. bank prime rate remained at 3.25 percent, where it has stayed since the beginning of 2009. Both consumer and student credit cards saw a slight increase in rates during the latter half of June. Specifically, consumer non-rewards credit card rates increased, which pulled the average for consumer credit cards overall up slightly as well. The changes in consumer and student credit card rates were only partially due to credit card companies raising rates on existing credit card offers. In some cases, the discontinuation of some credit cards forced a change in the composition of the survey for some credit card categories. While this temporarily makes for less of an apples-to-apples comparison with prior surveys, changes in the credit cards available also reveal something about trends in the industry. If credit card companies are generally choosing to discontinue low-rate cards in favor of high-rate ones, or vice versa, it indicates whether those companies expect a lower or higher rate environment in the future. Credit risk factors. With the employment market showing signs of weakness lately, credit card companies may lean towards charging higher interest rates as a hedge against rising credit risk. Regulatory pressures. The business costs of the CARD Act are still being evaluated by credit card companies, and rate changes may reflect the way they've seen revenues or expenses impacted by this and other legislation. The bottom line is that recent credit card rate increases were slight on average, but they are all the more striking at a time when other interest rates are generally falling. Consumer non-rewards credit card rates rose by 4 basis points, to 15.07 percent, while consumer rewards credit cards held steady at 17.76 percent. This narrowed the rate spread between rewards and non-rewards programs, which had been rising in recent weeks. A narrower spread in those rates makes rewards programs a little more attractive, though the best way to get value out of a rewards program is to rack up points by using a card, but then pay off the balance every month so as to not incur interest charges. The average rate for student credit cards rose by 4 basis points, to 17.02 percent. That was the first change in this category since the end of February, and the first rate increase since last December. 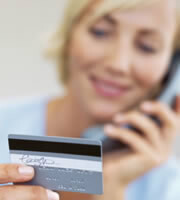 Both business rewards credit cards and non-rewards cards remained unchanged in this survey. Average business non-rewards rates have held steady all year, while business rewards rates haven't changed since early April. The spread between credit card rates for customers with top credit ratings and average rates fell significantly, dropping by 17 basis points to 4.02 percent. However, since this was a result of rates for strong credit customers rising, rather than because average rates fell, it may reflect a broader concern about consumer credit rather than growing confidence in customers with mediocre credit histories. 0 Responses to "Consumers and students see slight increases in credit card rates"